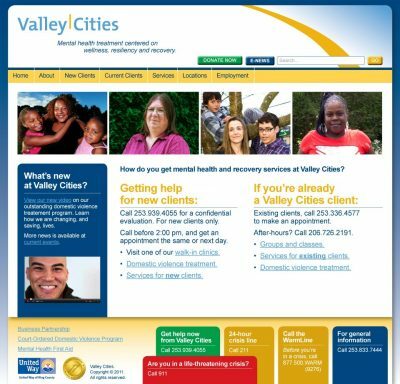 Valley Cities contacted us to redesign their antiquated website. 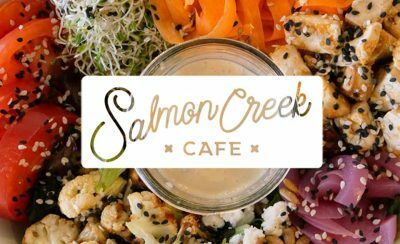 Previously, staff managed over 100 mental health groups and classes for four locations through a cumbersome database, which was difficult for visitors to navigate. Now, using WordPress, staff can add, edit and remove event activities easily from any web browser. And the events are easier for users to find and provide clearer, more helpful information. A font-resizer helps low vision visitors. And seven customizable widgets allow staff to promote a variety of important messages, like the 24-hour crisis line and fundraising events. To keep costs down, Valley Cities published most of its own site content. This step allowed our team to focus on accessibility, branding, database development, design, information architecture, and usability.